Lottie will always need help and the more we’re able to assist her at such a young age, the more opportunities she’ll have in life. 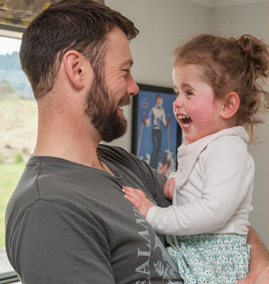 Please give generously this Blind Week because currently, we’re only able to reach one in three New Zealanders who need our help. Your support goes right where it’s needed most – helping those with sight loss develop the skills they need to live life without limits. Thank you. Your donations mean everything to children like Lottie.